No need to spend a fortune on matching Christmas accessories! 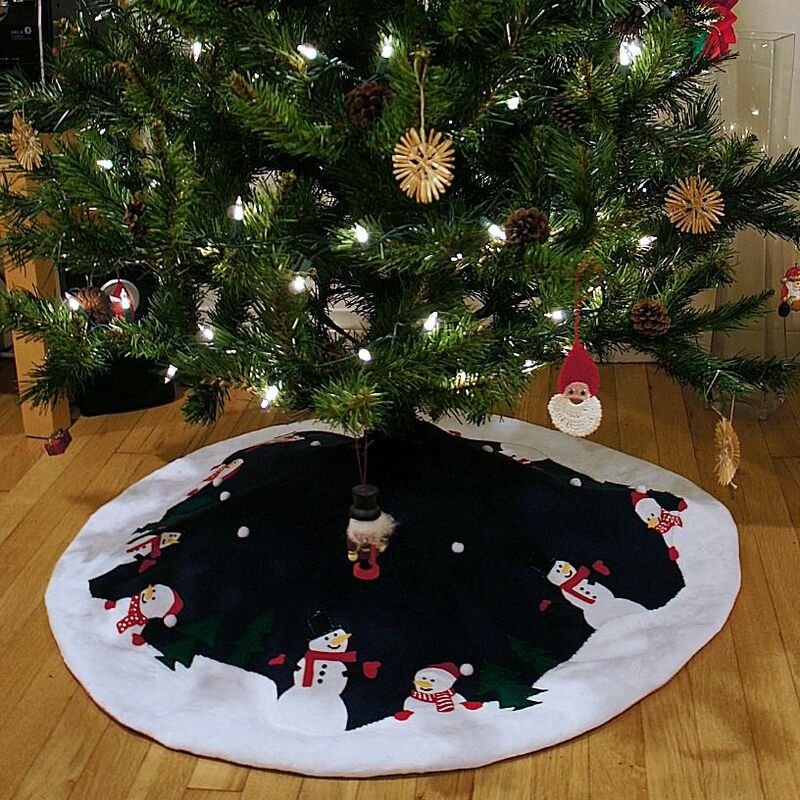 Make this contemporary Christmas tree skirt with funky snowmen and trees! Then use the same templates for place mats and stockings. We have lots of free templates for all your Christmas crafting ready for you in our blog. Add these awesome little snow men to the Jutta wrap skirt and make it a Christmas wrap skirt. Your little girl will love it. Add them to the stockings and place mats too. The options are endless when you really start thinking about it. 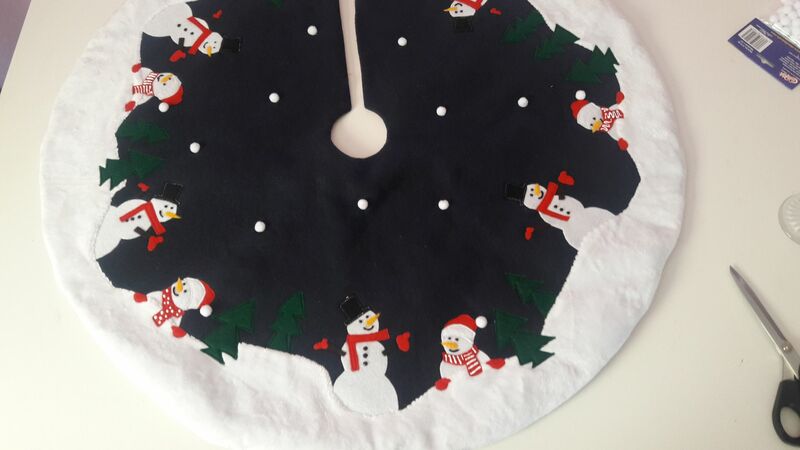 I am going to show you how to use appliqué techniques, so you can confidently make this a Christmas tree skirt. This sewing pattern is aimed at beginner level. This does NOT include German instructions!